The museum is grateful to the people who donate artifacts for historical research or display. Without these donations, it would be almost impossible for us to expand our displays and have rare artifacts for historical research. Our number one item on the museum's wish list is funding for the museum expansion through donations, grants and bequests. Please contact us to learn how you can donate to the museum. The museum is grateful to the people who donate artifacts for historical research or display. Without these donations it would be almost impossible for us to expand our displays and have rare artifacts for historical research. 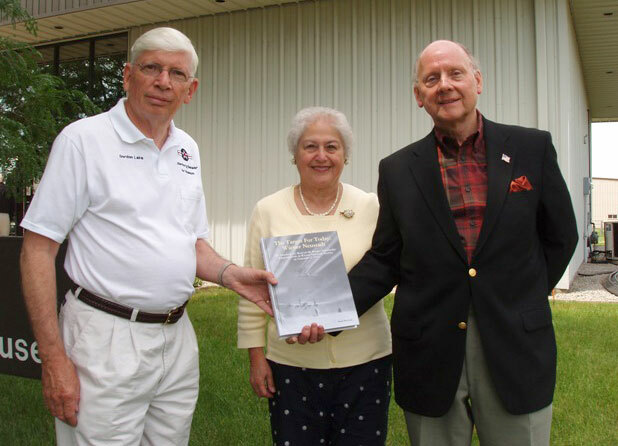 Stephen and Susanne Baranyk of Carmel, Indiana donate "The Target for Today: Wiener Neustadt" to the museum library. 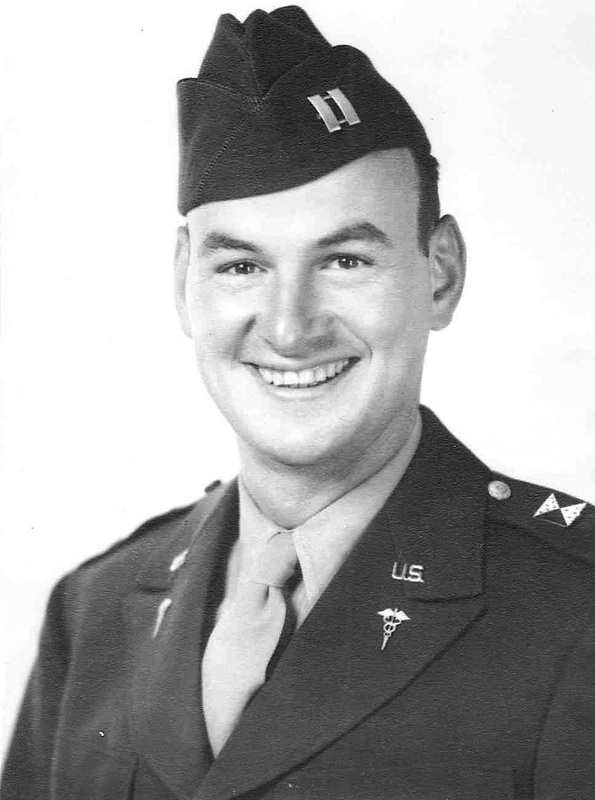 Susanne's stepfather, Raphael "Ray" George of Indianapolis was a WWII radio operator/gunner during missions is featured in the book with his interesting story of survival as a POW and his long term recovery from injuries at Wakeman Army Hospital at Camp Atterbury. Gordon Lake accepts this gift on behalf of the museum volunteers. 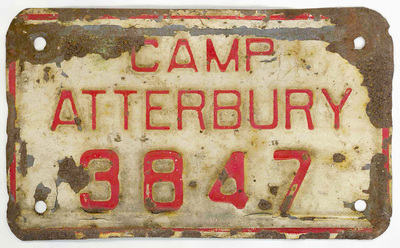 Carol Anne McDougal, daughter of Captain (Dr.) Richard Schantz, donated this WWII Camp Atterbury identification plate he had for his car while recuperating at Wakeman Army Hospital. The family of Dr. Sahantz lived near Camp Atterbury during this time. The 1943 photo on the left is of Captain Schantz with the 64th Medical Regiment, Camp Bowie, Brownsville, Texas. Many patients were flown to Atterbury Army Air Field during WWI and the Korean War to be transported the short distance to Wakeman Hospital at Camp Atterbury. Melinda Filer Easley and Pamela Thomas, family of David E. Filer, a World War II Glider Pilot, donated his military artifacts to the museum. The museum is pleased to have received Glider Pilot uniforms, patches, ribbons, photographs, and personal documents. Without the help of contributors like Melinda and Pamela, much history would be lost forever. 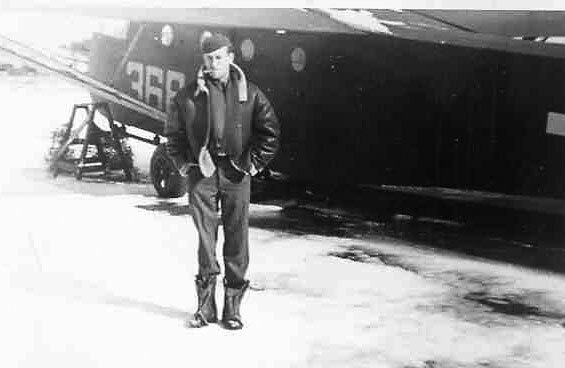 Pictured here is David E Filer and a CG4A Glider during World War II. 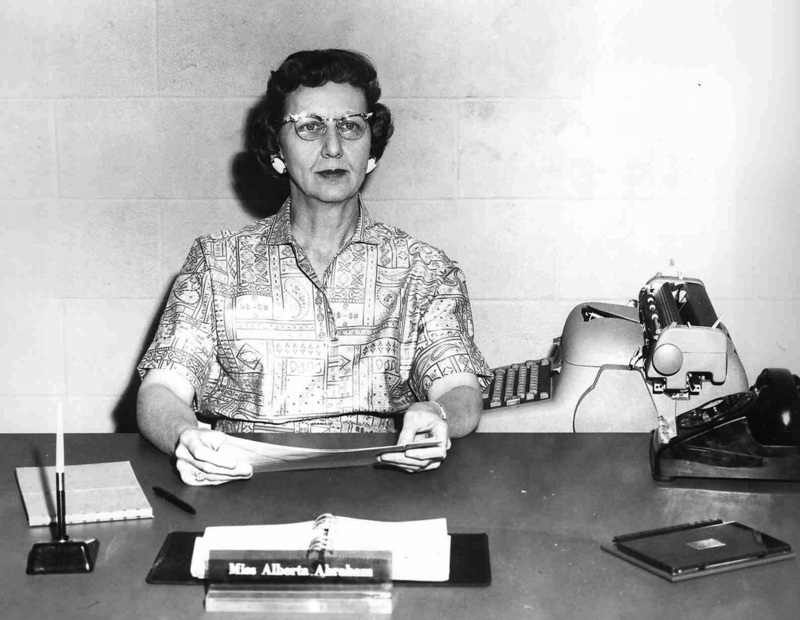 The museum is grateful to the family of Miss Alberta Abraham for the donation of her original photographs and documents from the former air base where Miss Abraham served as the base commander secretary from 1949 till base closing. Her career spanned nearly 28 years of secretarial work at military installations in Columbus, Seymour, Louisville, and Indianapolis. She remained at Atterbury Air Base, renamed Bakalar Air Force Base, until March 1, 1970, at which time the base went into caretaker status prior to becoming Columbus Municipal Airport. 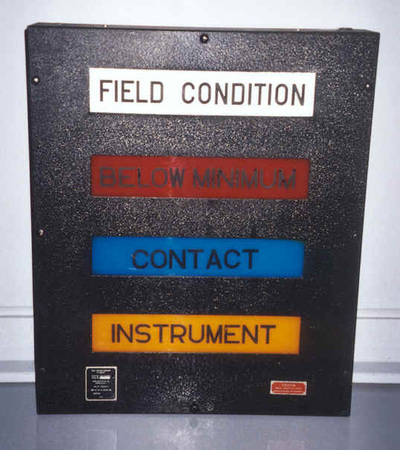 Kevin Silva of Indianapolis donated the Field Condition Light, which was an original piece of equipment from the former base. Robert Tate, a former Master Sergeant and First Sergeant of the 71st Troop Carrier Squadron/Tactical Squadron from July 1955 to July 1968, donated a number of original photographs and documents to the museum of 434th Troop Carrier Squadron's history. Glen Russo of Clifton, New Jersey donated rare CG4A Glider parts to the museum, Glen gave us glider bench seats, seat backs, escape hatch, and jump seat. These items were found in the attic of a farm house in the Pocono Mountains in Pennsylvania. These glider bench seats are used in the William "Bruce" Dalton Media Center as part of the guest seating. Only by the help of people like Glen Russo, Kevin Silva, The Abraham Family, David E. Filer family, Carol Ann McDougal and many others, can we expand and update our museum displays.